I recently read Peter Nabokov’s 1981 book, Indian Running: Native American History and Tradition. 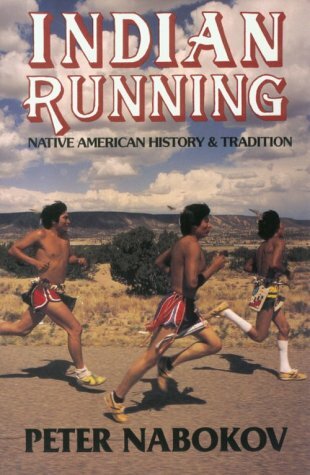 The book chronicles the 1980 Tricentennial Run, a 375-mile relay race across Arizona and New Mexico undertaken by teams of Pueblo Indians as a celebration of a 17th century rebellion against Spanish rule. An anthropologist by profession, Nabokov weaves into the book a broader discussion of Native American running, including how they ran to communicate, fight, and hunt, as well as to enact myths and to create a bridge between themselves and the forces of the universe. I read the book with great curiosity, wondering if people whose culture predated the spread of modern technology and sedentary lifestyle were indeed natural runners and if so, how their capabilities would compare to the those of modern runners.